Quality product at an affordable price, no probs. I bought a Lamy safari with an extra fine nib initially as I had read that Lamys nib sizes are slightly different to traditional. I found the extra fine to be very fine but also very dry and really it's much better for drawing with than writing. I therefore decided to make the most of the Lamy's functionality and swapped it for a fine nib. It is more of a medium in terms of the line it produces but it's a much wetter line and therefore more suitable for me as I tend to need to write very quickly. Nib changing is easy with a piece of tape that you stick to the nib to enable you to pull it off. I did manage to jab myself in the hand when putting the new nib on so take care! (or watch what your doing, which I wasn't!). I'm very pleased with all the products from Lamy. F, M and B nibs are all great (and it's awesome being able to swap out at will across the range of Lamy pens) but in my view getting a 1.1 italic gives an extra dimension of possibility to writing. I use it for notes and letters where I slow down and pay extra attention to what Im saying AND how it looks, and the nib is perfect for that. Recommend. I have always thought that a fine nib suited me perfectly. 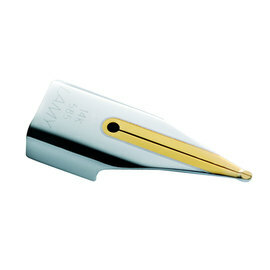 However, after reading a review on the Lamy Z50 Nib Extra Fine Polished I thought give it a go. The nibs are so easy to change, and at a great price, so I bought one. It only took a moment to change the nib and wrote perfectly and precisely without scratching. I am now converted to Extra Fine for the precision that no other nib can give. Don't hesitate - try one. Thank you TPC for such excellent service and for making writing such a joy. I have made 2 purchases of this item, and will make further orders. I recently purchased a Lamy CP1 with an extra fine Nib. For me that is great for my day to day work taking notes and sketching diagrams with precision. The replacement fine nib I purchased allows a smoother flowing style and puts down a little more ink for letter writing etc. the nib is great and I can highly recommend it for smoothness, a fine line and good ink delivery. The other major plus point is the fantastic service given by TPC. They really understand good customer service. Having been a medium person for most of my life in most matters, on returning to fountain pens after I spotted a Lamy Vista in the hands of a graphic designer, I decided that the medium was too thick. I swapped the medium nib for a fine - better, so I decided to try extra fine, but until I found these on the pencompany site I had thought were not available. A quick delivery and I am now a convert to extra fine. Th EF is installed in my Vista. Now I need to order a EF for my pink Safari, to replace the fine one ordered with the EF! BTW I learned how to replace the nib via a Youtube film. Hold the end of the nib down with the pen cover and pull backwards! Worked for me! Glad to hear the EF nib works for you. Some of the Lamy nibs can be a little tough to remove - so be careful if you're using the cap to remove the nib, you can damage the plastic caps of the Safari and Vista with the nib if it doesn't pull off. We use a piece of Sellotape to remove the nibs on Lamy pens. Just stick an inch or so of Sellotape across the nib and pull. The tape gives you the extra purchase on the nib, a little wiggle and it will come off very easily, the new nib then just pushes back on. Unfortunately, Lamy nibs will not fit a Waterman fountain pen, this will require an identical replacement nib from Waterman. 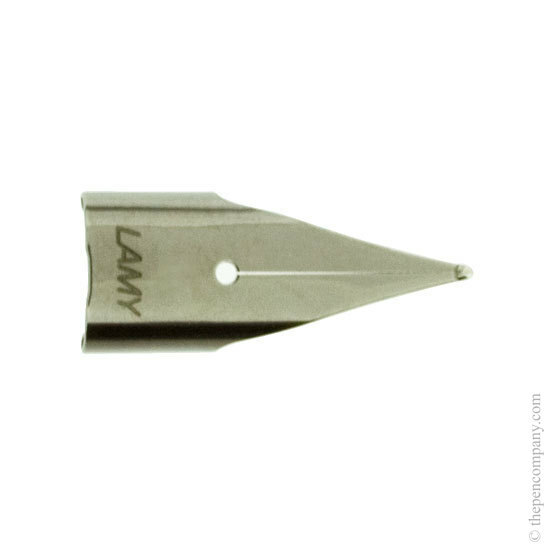 Yes, the Z50 nib is suitable for all Lamy fountain pens with the exception of the 2000. The Z50 is the same size and shape as the gold nib found on the top of the range fountain pens, so would also fit on these pens.